Package is often changing and please excuse us for not informing! A long time ago, legend has it that the people who lived at the Fujian area were experiencing a dry spell which was threatening the lives of the villagers. It was believed that a celestial plant was growing at a mountain in the Fujian region which was guarded by a black dragon. This plant is believed to cure many kinds of illnesses and it will bring up the water when the juice of this plant is dropped into the river which had run dry. Many villages went looking for this special plant but failed and subsequently were turned into rocks at the mountain. A young lady, whose two brothers also went there but were sacrificed, decided to try her luck too. When she reached the mountain, the black dragon attacked her viciously but she cunningly managed to kill the dragon. The young lady then was able to pluck the celestial plant and dropped its juice onto the people who has turned into rocks, and all the villagers were transformed back into human beings. Thanks to her courage and good effort, the villagers were very grateful to be alive. They transferred the plant from the mountain and planted it widely in their villages. Due to its silvery white color and needle shape, it was named “Silver Needle”. 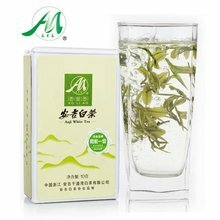 White tea is made in four counties in Fujian province, Fuding, Zhen He, Jian Yang, and Song Xi, though Bai Hao Yin Zhen (Silver Needle) white tea is only made in Fuding and Zhen He. These counties grow unique cultivars of the tea bush, Fuding Da Bai and Zhen He Da Bai, which are capable of producing the large and stylish tea buds that Silver Needle is known for. Seven Cups’ Silver Needle is made entirely from Fuding’s original Da Bai bush type, known for having buds that are bigger, richer, fatter and more numerous than the Zhen He cultivar. Additionally, Fuding’s Silver Needle white tea touts the claim of being the original, invented in 1796, much earlier than Zhen He’s. Even at its beginning, white tea was a popular export to Europe. Its conspicuously large buds were some times blended with simple black tea to enhance its visual appeal. The First World War halted the export of white tea in 1918. Exports resumed briefly in 1926 but only to be stopped again by the escalation to the Second World War. White tea finally returned to the Western market in the late 20th century where it has been viewed with renewed curiosity. The sweetest of the white teas, Silver needle is made up of only buds from the tea bush. Meticulously separated from the stem, the buds are fanned on to a single layer on a bamboo tray and dried in the sun until 70% of their moisture is removed. The withering process is completed indoors as the tea is roasted over charcoal. During the roast, the tea is separated from the charcoal by bamboo trays lined with paper. The very low temperature drying of this tea is designed to preserve the white color of its buds. Too high of a temperature will make the buds yellow. Unlike green tea, white tea is never fired or steamed to kill the enzymatic action that causes oxidation. Instead, oxidation of the leaves is prevented by their lack of moisture. The withering process is very long and gradual, thus slight oxidation of the leaves (or buds) will naturally occur. With this slight amount of oxidation, white tea’s color is typically not as bright or green as you would expect from a green tea. 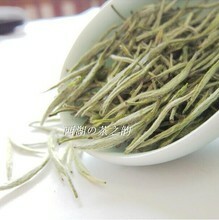 High quality Silver Needle should be made up of large, healthy tea buds with most of their white down intact. When infused, the buds will turn to a light green color right away. The color of the infusion is like a light honey. When compared to infused green tea, it will appear slightly yellow. The fragrance is light, akin to freshly bloomed flowers. The flavor is more juicy than dry, filling the mouth with a smooth and lingering sweetness. For first time tea drinkers and seasoned aficionados alike, Silver Needle white tea is a very approachable tea. It is easier on the stomach than a green tea and even a long infusion in high temperature water will not bitter the flavor. You will find it very easy to drink and very easy to brew. 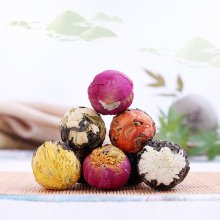 There are six grades according to the quality:superior; premium; AAAA; AAA;AA;A. 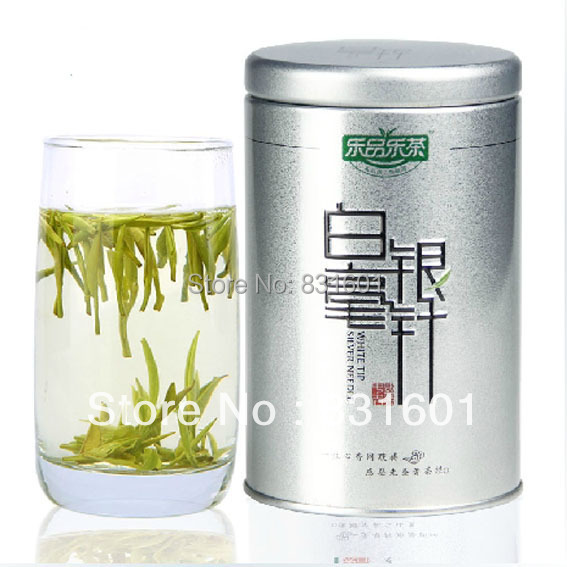 What Are the Health Benefits of Silver Needle White Tea? Consider yourself a tea connoisseur once you begin drinking the rare specialty Silver Needle White tea, known as Yin Zhen, in the Fujian province of China where it is grown. This delicate and expensive tea is only harvested a few days between March and April each year when the buds of the Camelia sinensis plant have just barely matured. Cloaked in silvery hairs, hence the tea’s name, the buds are carefully harvested by hand, preserving a high antioxidant content and offering numerous health benefits. It may sound too good to be true, but in fact leading scientific research indicates that drinking white tea, including the rare silver needle variety, may well help you trim the fat. A German study published in the May 2009 issue of the “Nutrition and Metabolism” medical journal found that white tea effectively assists the body to better metabolize lipids, or fats. Consult with your doctor about adding white tea to a comprehensive weight loss plan. Antioxidant power abounds in white teas, including the silver needle variety. Augment your diet with frequent sips of white tea to enhance your immune system. According to registered dietitian and author Diana Dyer M.S. adding white tea to a diet that includes a wide variety of antioxidant-rich foods may assist in the prevention, occurrence or recurrence of some cancers. In her book “A Dietitian’s Cancer Story-Information and Inspiration for Recovery and Healing from a Three-Time Cancer Survivor” Dyer explains that white tea is thought to contain more antioxidants than other teas due to the lack of processing of this tea type. Soothe a touchy stomach with a cup of silver needle white tea during meals. This premium tea-of-teas may be just the remedy for those who suffer with minor digestion discomforts. According to tea expert Jane Pettigrew, author of “The Tea Companion,” silver needle tea, sometimes called silver tip white tea, aids the digestive processes. Consult your medical or health practitioner before drinking white tea for digestive disturbances. For those who don’t need or want a strong dose of caffeine to help them wake up, silver needle white tea may be the right alternative. This purest form of the tea family has less caffeine than its green, black and oolong family members, according to the experts at The Rare Tea Company of Great Britain. One cup of silver needle white tea contains 1 percent of the caffeine contained in a cup of coffee. We recommend the long glass so that you can enjoy seeing the dancing of tea leaves in the water. 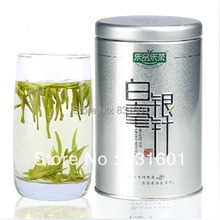 1)Take 3g tea leaves for 150~200ml of water. This photo shows 3g of tea leaves that is equivalent to one table spoon. 2)Use a simple and plain long glass. 4)After 10-20 seconds, pour off hot water when the glass is warmed up. 5)Place tea leaves into the long glass. 6)Tea leaves covers the bottom glass. 7)Pour in water at 90 degree Celsius until it covers about 1/3 of glass. 8)Gently sway the glass to let tea leaves absorb the water.If we skip this process,most of tea leaves will float on the surface. 9)After 2 minutes, pour in the rest of the water.When pouring water, move the kettle up and down is good as it agitate the tea leaves. 10)Brew for 3 minutes. In total the brewing time is 5 minutes. 11)When Silver Needle starts absorbing water, it will stands up and move upward and downward in water. 12)Silver Needle is processed without rolling process unlike to other types of tea. Therefore we need to brew it much longer time. In addition, you can brew for many times and you can enjoy the similar taste consistently. If you are bothered by the tea leaves, you can filter it first before drinking. When pouring the tea to tea cups, it is good etiquette to start from the right and proceed to the left. The tea cup on the right hand side is meant for the most important guest. White tea can be brewed with cold water as well. It is necessary to use either mineral water or filtrated water in order to avoid the chlorine smell. Use 3g of tea leaves for 200ml of water and leave it for more than 30 minutes. 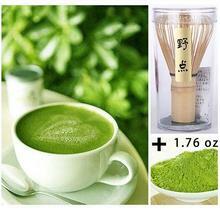 The taste of tea brewed using cold water is more natural and you might enjoy the greenish flavor. The color of tea tends to be rather colorless, yet it gives a rich taste. Get some information of Chinese tea. There are three main group of tea known to the world, unfermented, semi fermented and fully fermented tea. 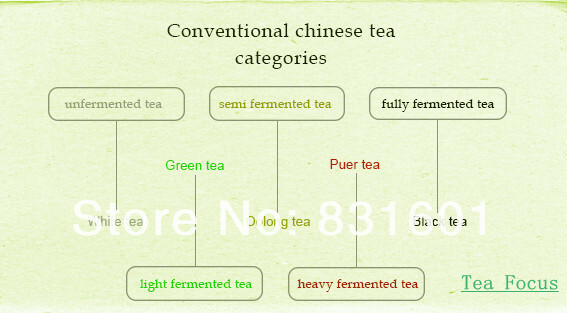 Unfermented tea usually refer to white tea, semi fermented tea refer to oolong tea and fully fermented tea refer to black tea. Based on these three categories, one can have a hard time categorize all their teas. For example, given a green or raw “pure” tea, should we categorize it as green tea, oolong tea or black tea? Another example is highly roasted “tie guan yin”, do we categorize it as black tea? The answer is no. No matter how you roast your “tie guan yin”, it will still be oolong. Personally I think the simple way to categorize tea, is to separate it into fresh tea (tea should be drink fresh) and vintage tea (tea can be keep for natural aging through time). When you place an order, please choose a shipping method and pay for the order including the shipping fee. We will send the items within 3 days once your payment is completed. We do not guarantee delivery time on every international shipment due to difference in customs clearing time in different countries, which may affect how quickly your product is inspected. We do our best to serve our customers the best that we can. We will refund you if you return the items within 15 days of your receipt of the items for any reason. However, the buyer should make sure that the items returned are in their original conditions. If the items are damaged or lost when they are returned, the buyer will be responsible for such damage or loss, and we will not give the buyer a full refund. The buyer should try to file a claim with the logistic company to recover the cost of damage or loss. The buyer will be responsible for the shipping fees to return the items. Your satisfaction and positive feedback is very important to us. Please leave positive feedback and 5 stars if you are satisfied with our items and services. (PLEASE DO NOT leaves us 1, 2, 3 or 4-star Detailed Seller Ratings because they are equal to negative feedback. Only 5-Detailed Seller Ratings are welcome.) If you have any problems with our items or services, please feel free to contact us first before you leave negative feedback. We will do our best to solve any problems and provide you with the best customer services. 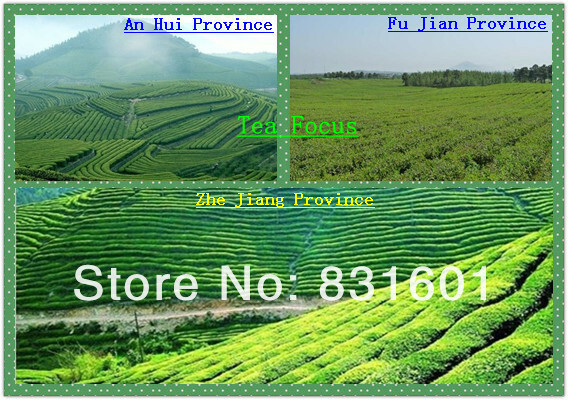 We have had our first Tea Garden in ZheJiang Province since 1998, after that, two more tea gardens in Fujian province and Anhui province were developed. 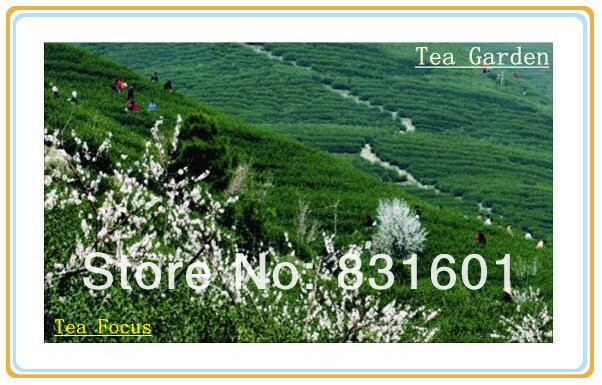 We also cooperate with many other tea gardens all over the country. At the beginning, all the procedures were finished by manual work. In 2005, we had our own factories in different places to improve the efficiency. We have retail and whole-sale shops, relaxing teahouse, meanwhile, more than 50 tea shops have business relationship with us. 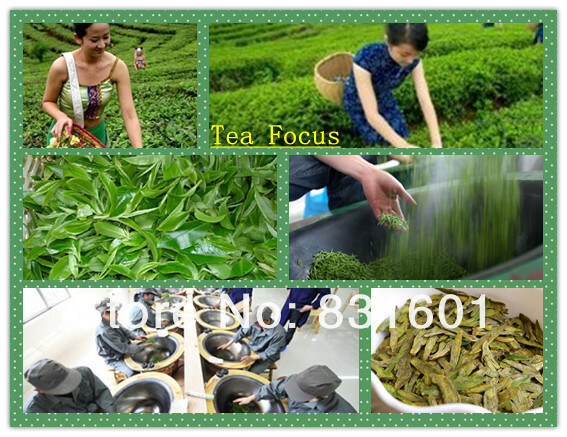 In Sep. 2013, we started our business on Aliexpress with the brand of “Tea Focus”. “Tea Focus” welcomes the people all over the world. Wish our customers health and happiness every day.